Why do you run? I find it healthy for my mind/body/spirit. My body feels better in motion; my mind is happier and I find time to connect with God. 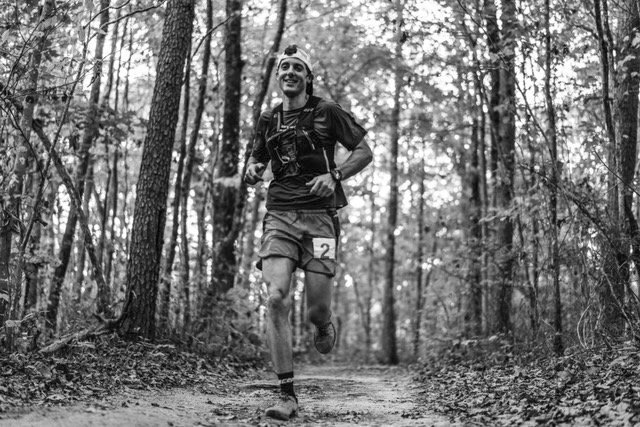 Toughest moment in a race: Burning river 100 — mile 80 I quit, turned my watch off and told my wife to go get the car. Instead, she sent my friend out with a pair of warm sweats and food. They told me there was no way to get a car to me and I would have to walk out! My mind shifted from quiting to not dying. I got up, put the sweats on, ate some food while I walked and within 1/2 mile somehow was back to runnning. Finished and then realized they’d tricked me! Good one team! 10.. Leaving the rest open! Tips for new runners: Stay consist, make it fun and build slow. Increase your weekly miles by no more than 10% each week. It hurts and feels very uncomfortable for about 3 months but then one day running feels easy. You’ll breath better, enjoy your surroundings more and not feel as much pain. STICK WITH IT! YOU CAN DO IT!! !